Center Pivot Irrigation System Nozzles – Keep Them Clean! | ATS Irrigation, Inc. Built off of a relatively simple idea, today’s center pivot sprinkler systems are more capable and programmable than ever before, helping you to achieve higher levels of efficiency season after season. Yet as advanced as they are, it doesn’t take much to alter system effectiveness as irrigation system services find that one of the most common causes of reduced efficiency is dirty sprinkler nozzles. 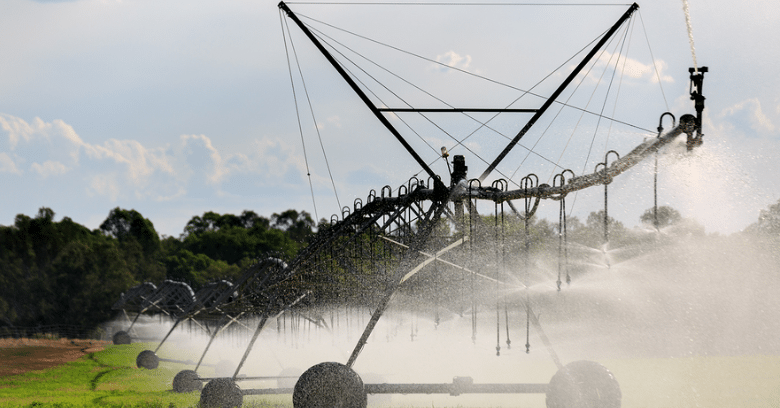 Your center pivot irrigation system is a fine-tuned, programmable irrigation system designed to give you everything you need to ensure efficient plant growth and full harvests. Today’s systems take everything from soil and plant type to weather and field shape into account, allowing you to program your system so every last nozzle delivers the right amount of water to the plants beneath it. 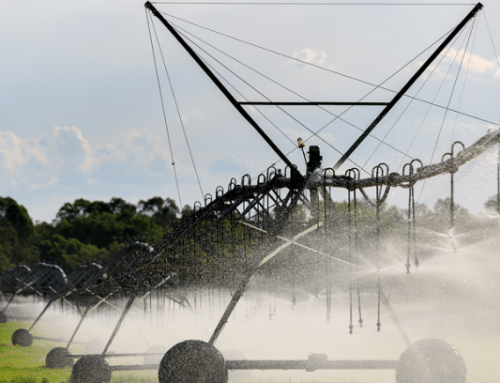 External factors like dirty sprinkler nozzles can change all that, even when your center pivot sprinkler irrigation system is perfectly programmed. Whether clogged by dirt, mineral deposits from the water, or other debris, sprinkler nozzles that can’t actually deliver the water can reduce your yield by an estimated 15% or more. Clogged nozzles can also cause other problems due to fluctuations in system pressure like runoff, soil erosion, over and under-fertilization in different parts of the field, and more. Other than proper programming, the secret to having a center pivot irrigation system work for you as designed is good maintenance. Clogged and Broken Nozzles - These reduce uniform delivery of water across the field so some plants do not get the water they need in spite of meticulous system programming. System Pressure Problems - Clogged sprinkler nozzles that cannot pass water through them can increase pressure in other parts of the sprinkler system, increasing the amount of water and fertilizer other plants get. Conversely, broken nozzles can reduce system pressure so plants get less water with the exception of those directly beneath them that may get too much. As simple as this issue of clogged sprinkler nozzles in a center pivot irrigation system may seem, it’s frequently the last consideration made when looking for problems. The best way to detect these kinds of problems is to monitor your field from above, preferably with a drone. If there is evidence of non-uniform irrigation like wet spots in some areas and dry spots in others with plants failing to thrive in these areas, look first to the sprinkler nozzles. Of all the problems you could have with your center pivot irrigation system, the one that irrigation system services see most is dirty, clogged sprinkler nozzles. Dirty nozzles can be responsible for more than just leaving a few plants dry; they can affect the performance of the entire sprinkler irrigation system. Rather than seeing your crop yield begin to decrease from dirt and debris that builds up in the sprinkler heads over the years, make sure you maintain it and keep those nozzles clean! 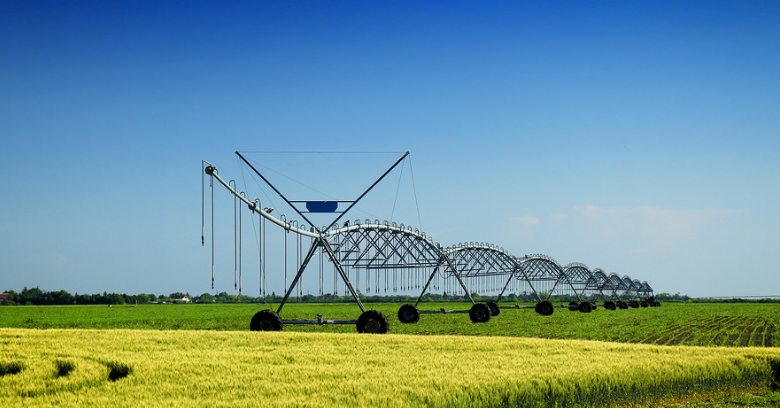 Need Center Pivot Irrigation Systems In Brenham? Contact ATS Irrigation For Expert Irrigation System Services!